The Country Inn and Suites By Carlson is located adjacent to Green Mill Restaurant and a 24 hour grocery store and is just 4 blocks east of the West Acres shopping center. Features include indoor pool, hot tub and exercise facilities. Each room or suite has a microwave, coffeemaker, refrigerator, and cable TV with HBO, CNN, ESPN and much more. 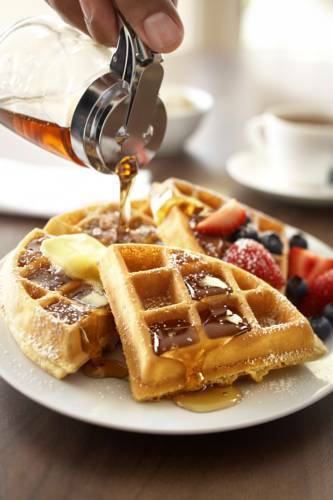 Enjoy our complimentary hot Be Our Guest breakfast served daily. Meeting Rooms offer banquet bar, AV equipment and sound system upon request. 3 meeting rooms with a combined total of possible 200 people. Large meeting room offering 2500 sq ft that divides into 2 rooms. Prairie room is 1100 sq ft and Meadow Room is 1400 sq ft. Board room on main floor 288 sq ft accommodates up to 15 people. Small museum houses a collection of vintage planes, most which are out and flying on occasion. 40 feet long, made of concrete-covered metal that rings when you tap it. Although it's tempting, signs warn that no climbing is allowed on Otto.